Dallas, TX is an affordable metropolitan area, with the opportunity to have the home of your dreams. Dallas custom homes are available at reasonable costs as well as plenty of opportunities to remodel your current Dallas home to include all the features you have ever wanted. Shirley Boulter Davis provides not only real estate services in the area, but also offers Dallas custom home services through Ron Davis Custom Homes. 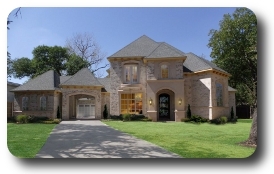 You can view already built and currently available custom homes or contact Shirley to find the perfect lot and start planning your new Dallas custom home. If you are looking to remodel, Ron Davis Custom Homes provides full remodeling services using the same team that builds his highly acclaimed custom built homes. 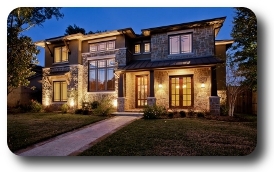 Why Get a Dallas Custom Home? When you build your custom home, you build your life of luxury. You get to decide how your home is laid out, what features you want and at the end of it all, you get the reality of living in your dream home. Shirley Boulter Davis and Ron Davis will help you through the entire process, from choosing and purchasing an appropriate neighborhood lot or vacant land, to the design of the home, to helping you get settled into the area when everything is complete to your specifications and budget. Specializing in the Preston Hollow, North Dallas, Lakewood, Bluffview, "M" Streets, Forest Hills and more prime Dallas areas, let Shirley Boulter Davis help you get started with making your real estate vision a reality! Contact Shirley About Your Dream Home!